I was gisting with the babes on bbm chat, some days ago and told them that I didn't fancy cake and ice cream, they didn't believe me, anyone that knows me well can tell you. Its not about weight loss, it didn't start today. See, I grew up with a mum that baked cakes almost every day, we went to birthday parties that served cakes my mum made. So, guess I just grew not to like cake that much. I told the ladies that I would rather collect my birthday cake money than have plenty cakes on my birthday. I cant remember the last time I craved cake. I crave ice cream only when i'm pregnant. Honestly, I can go a year without tasting ice cream, I wouldn't even miss it. So you want to know the things I crave? Oh yes, Cheliz dey crave o, i'm not made of stone. I crave and I indulge many times. I just punish myself afterwards. Hehe! Hot Puff puff! (Yes I know i'm razz) Choooiiii!!! 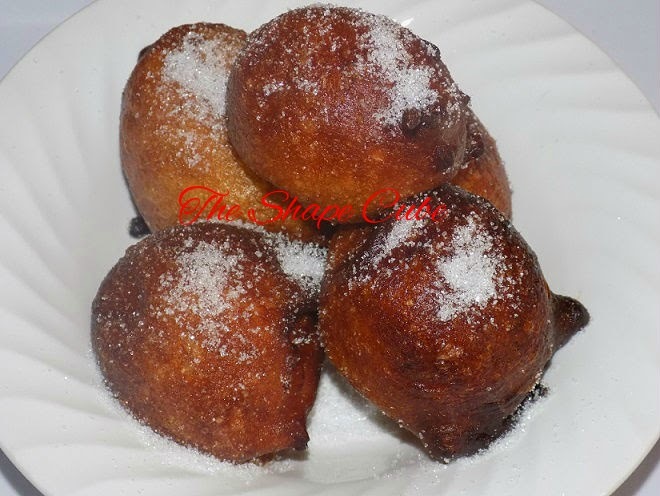 Aint nothing like hot puff puff laced with sugar, washed down with hot coffee for breakfast. Chieeee!! I love puff puff ooo! A few Sundays ago, after church, that's how the puff puff lady perched by the church gate, hmmm as i came out, the aroma hit me, gbosa!! I almost fell into the gutter! the only reason I didn't buy some was because I was fasting. If not eh...... na me and that puff puff! Hot French fries and Ketchup! I don't even need chicken or fried fish to go with this. Just give it to me nice and hot and crispy. This one can make me dash you my phone. Hehehe! Hot white bread! No words here. I am speechless! Chocolate chip cookies and Chivita fruit juice. 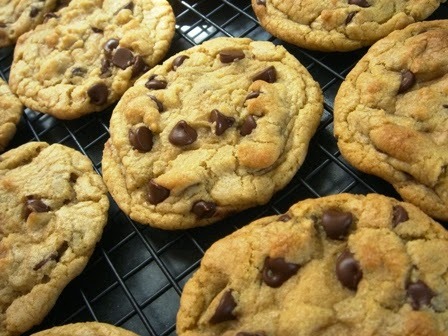 I love to have this one, while watching a movie, yum yum!! Plantain chips. I can eat plantain chips any day, any time. I like those ripe crunchy ones. I always have some in fridge. I it at least 5 times a week, hahahaha! Cheliz lol at hot puff puff... me i love cake and cream, i might feel reluctant going to buy them but dont just bring it close to me or ask me if i want because i will never say no, i can die for groundnut, cashew nut, peanut butter, chocolate, fried plantain and bread. make God help me ooo. Hahahaha! You feel me, i dont like sharing my yummy treats too. Lol! Hot puff puff laced with SUGAR?????? Now I know coach is human!!!! Hot french fries, Plantain chips, chocolate chip cookies, HOT BREAD (my crytonite) *i want to cry* These are the delicious killers!!! There is God!!!! Yes Viv, I am human. I love to indulge once in a while you know. Ahhhhhh! No way, i reject that for u o. Lol. The things that food can cause. Hahahaha! Hiya. Just discovered your blog, and it's friggin awesome! I currently weigh 75kg, and desperately want to lose 10kg. Anyway, my poison is garri, with loads of sugar and cold water!!! Lol!!! And hot bread and butter!!! Thanks Adesuwa. This your poison is tempting ooooo.